A chair with guts hanging out. Though it appears to be a part of an art exhibit, the exact origin of this photo is unknown. 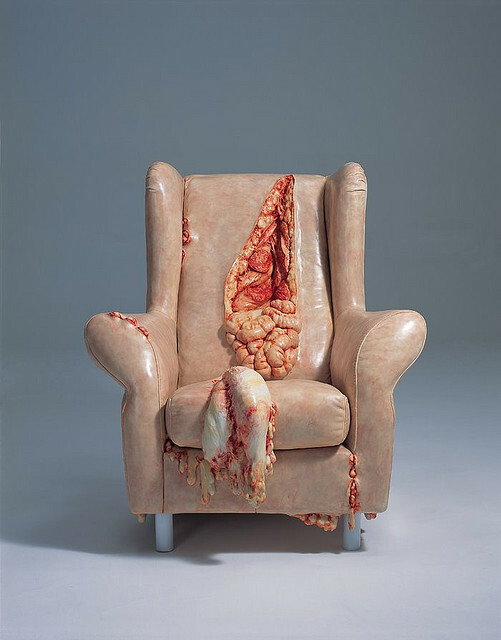 It may not fit your feng shui, but who wouldn’t want an eviscerated chair for their home or office? The artist is Cao Hui.